Chocolate Flavored High Protein Soy Puffs With Sweetener! Chocolate Flavored High Protein Soy Puffs With Sweetener!Chocolate Flavored High Protein Soy Puffs With Sweetener! What are Chocolate Protein Balls? 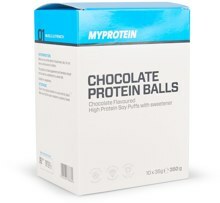 Chocolate Protein Balls are deliciously sweet tasting crispy protein balls made from soy protein isolate. They are light and can be taken with you when on the go and are perfect for popping in your bag to provide a fantastic high protein snack helping you to increase daily protein intake. Chocolate Protein Balls provide 15g of protein per pack which will contribute to the growth and maintenance of lean mass. Who are Chocolate Protein Balls Suitable for? 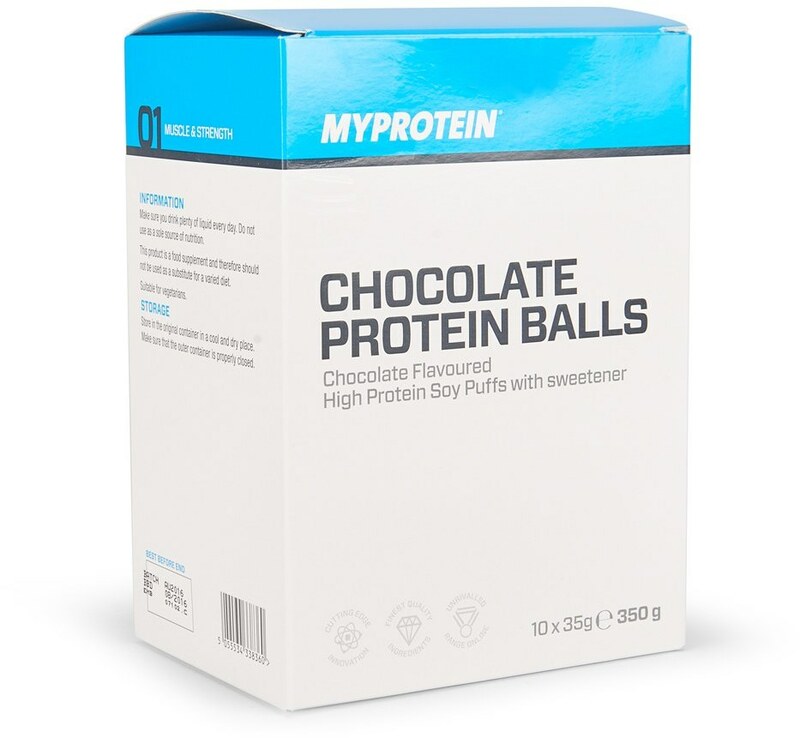 Chocolate Protein Balls are ideal for anyone looking for a high protein intake when on the go and they are particularly ideal for anyone for an alternative protein source when wanting to increase overall daily protein intake. These sweet tasting snacks are perfect for throwing in your bag and having at anytime throughout the day as a high protein snack. What are Chocolate Protein Balls?What are Chocolate Protein Balls? Who are Chocolate Protein Balls Suitable for?Who are Chocolate Protein Balls Suitable for?